Disclaimer: David Cassidy was my first big crush. I was pretty sure that I would grow up to marry him. Although it seems that may not happen, I still love several of the Partridge Family songs I grew up with, and "Summer Days" may top the list. Yes, it is bubblegum pop, but it also is a fun early 1970's (1971) pop song. Someone mentioned this on Facebook yesterday, and it has been stuck in my head ever since - so I'm passing it along to you. Do you remember the Partridge Family? Were you a Partridge Family or Brady Bunch fan as a kid? I loved them both. 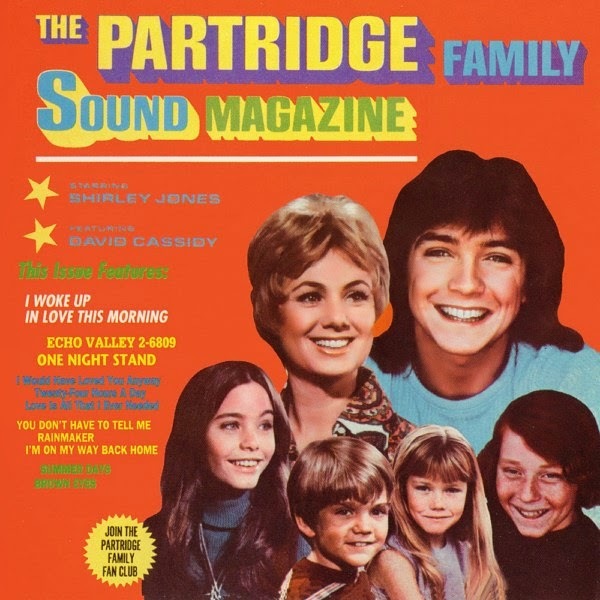 The Brady Bunch was closer to real life, but the Partridge Family - well, it had David Cassidy. I loved the Partridge Family and David Cassidy was my first crush, too. Donny Osmond and Bobby Sherman was also in the running! And I have to confess that I still love those 70's hits! Bobby Sherman! I loved him too. He works as an EMT now in Los Angeles.